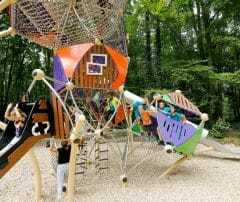 “Cel­e­brate your Roots – dis­cov­er your Wings” is the guid­ing prin­ci­ple of the Ger­man Euro­pean School in Sin­ga­pore (GESS). 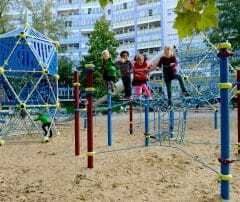 Thus the school pro­file focus­es on con­vey­ing the Euro­pean val­ues of respect, open­ness and a sense of com­mu­ni­ty. 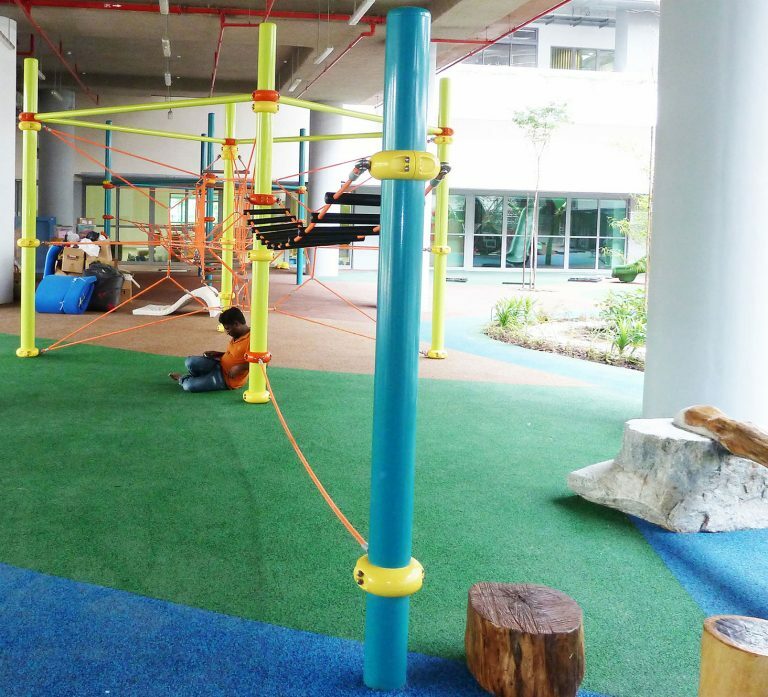 The pri­vate school in the Asian metrop­o­lis is aimed at stu­dents and preschool­ers of all ages between 18 months and 18 years old. 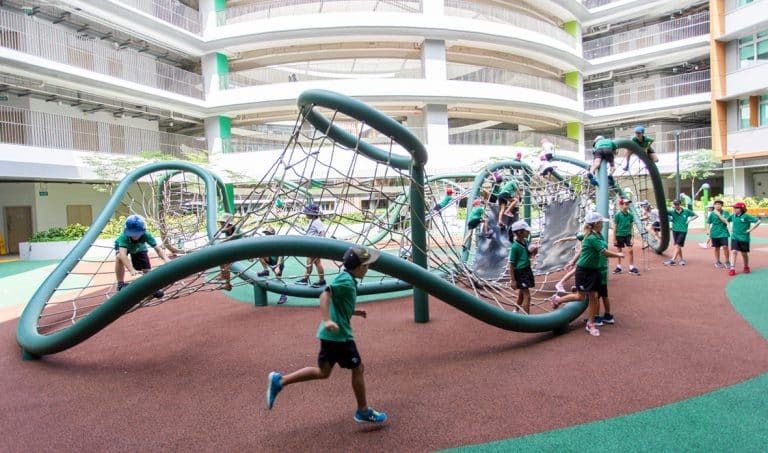 The school aspires to get to know every stu­dent in the school com­mu­ni­ty, to dis­cov­er his per­son­al strengths and inter­ests and, through a holis­tic approach, to both encour­age and chal­lenge stu­dents. 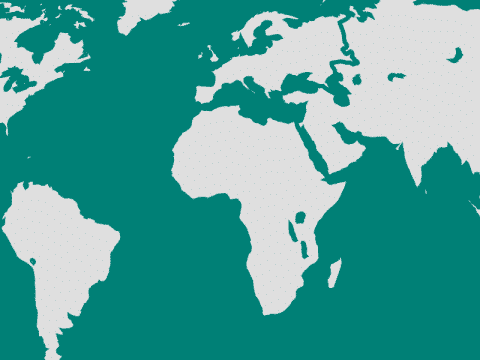 The school focus­es on qual­i­ty not only dur­ing lessons, but also beyond them. 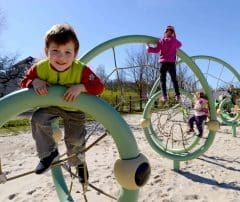 Thus the school con­cept sees recess as an oppor­tu­ni­ty to sup­ple­ment and sup­port cog­ni­tive learn­ing in class through phys­i­cal exer­cise. 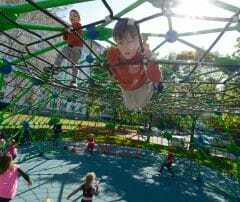 Social inter­ac­tion is also encour­aged dur­ing recess. 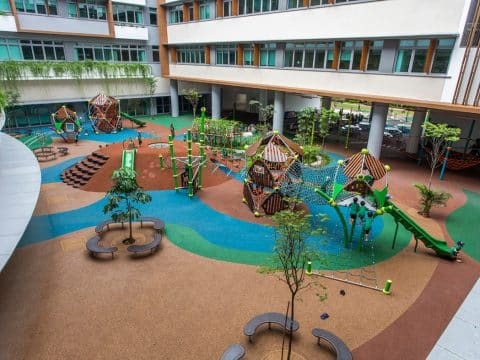 Consequently, the redesign of the school campus in Singapore has resulted in a wide range of activities and opportunities for relaxation and play. 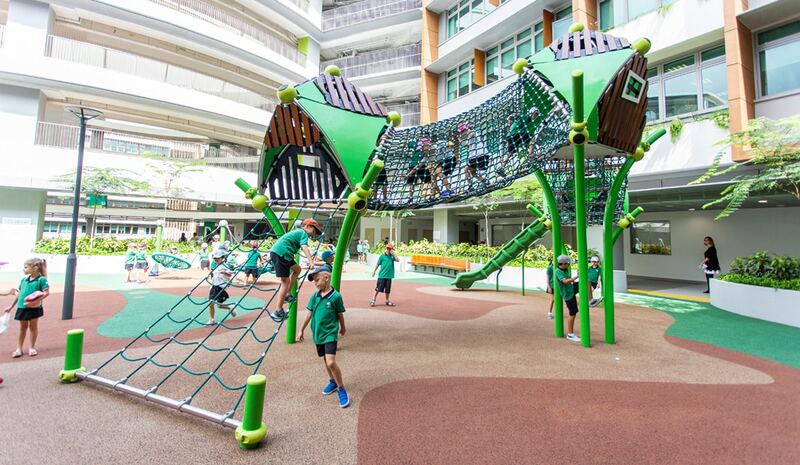 In addition to various sports areas, including a football field and an Olympic swimming pool, the newly designed play areas in the inner courtyards of the school complex are also particularly striking. 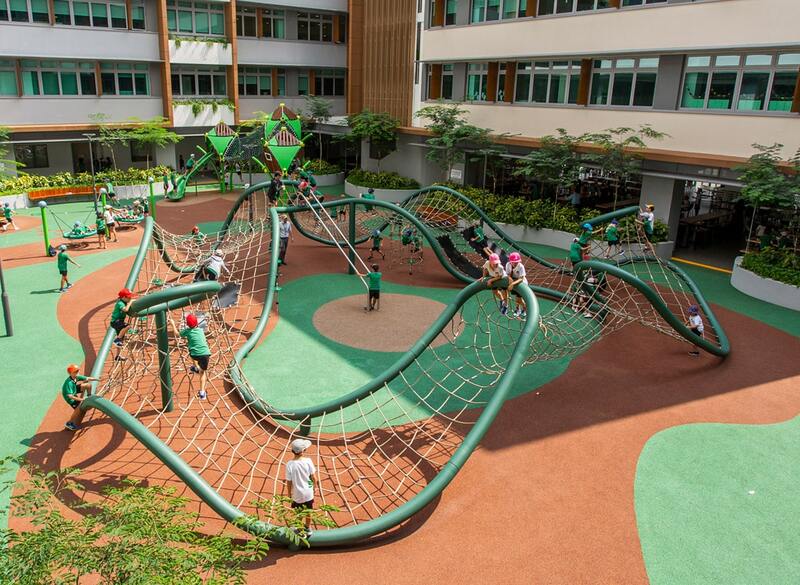 The school playground is divided into a total of four areas aimed at engaging all age groups. 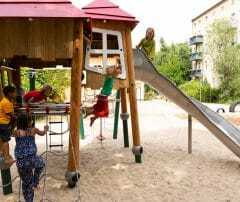 In the first courtyard there are two different combinations of playhouses and rope playhouses from the Berliner Greenville series, each connected by different bridge elements. 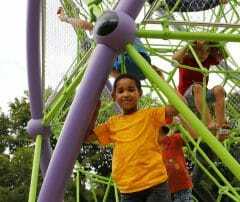 The bases of the rope playhouses are three-dimensional nets made of ropes inside the “DoubleBoos”. 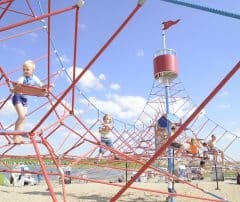 Since spatial nets offer enough space for a lot of children at the same time, they are perfect for school playgrounds. 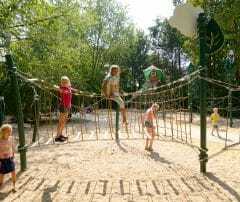 In addition, playing together in the climbing net promotes the social behavior of the students, since interactions inevitably arise. 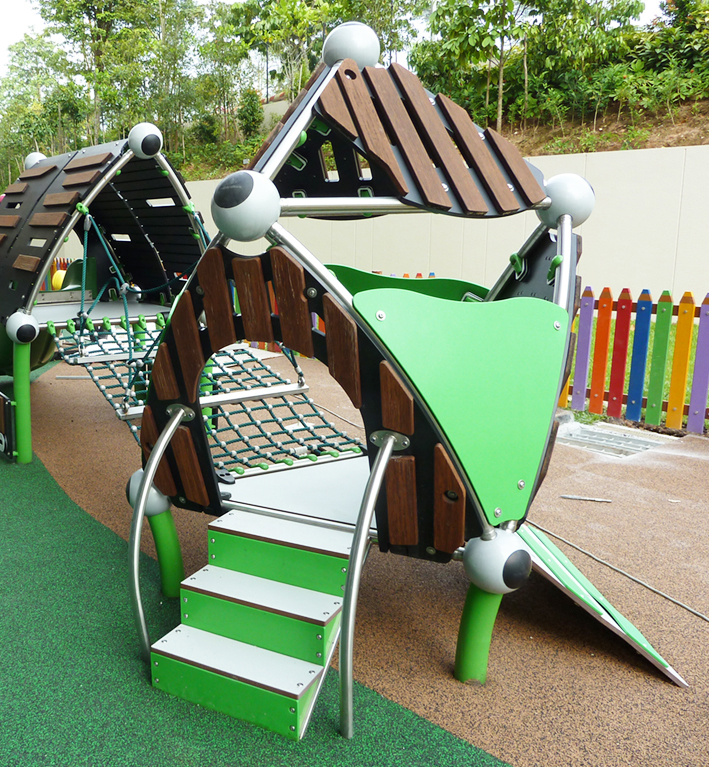 Climbing in three-dimensional space also trains the students’ psychomotor skills and 3D-imagination. 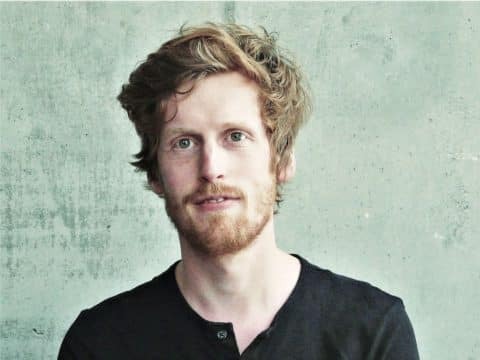 This has a positive effect on mathematics classes, among other things. 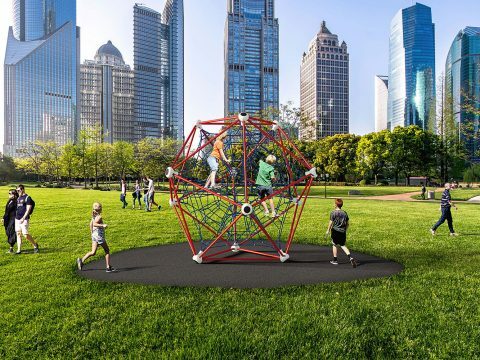 Thus at the neuronal level, the interconnection patterns in the brain that are also required for three-dimensional computing are stimulated. 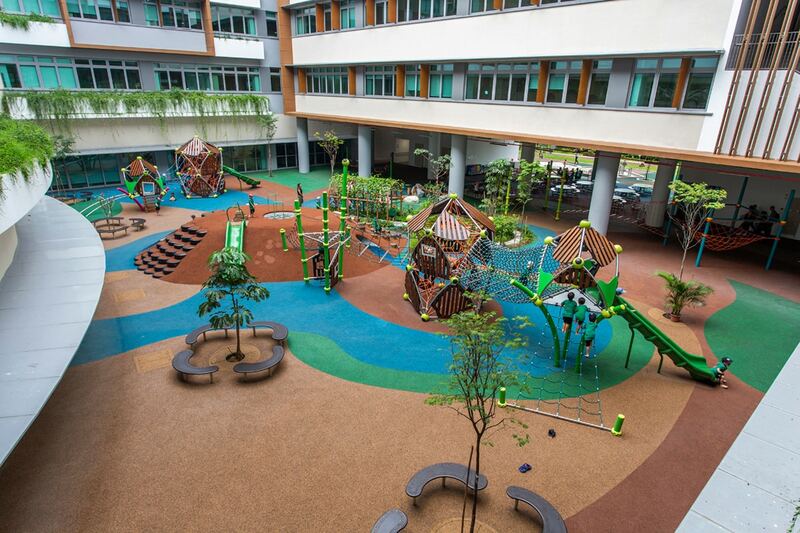 The playground in the first courtyard merges seamlessly into a second, covered play area. 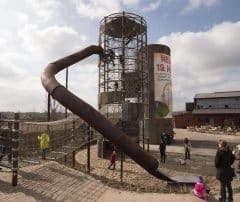 Here students can climb on a low rope course consisting of five different climbing elements. 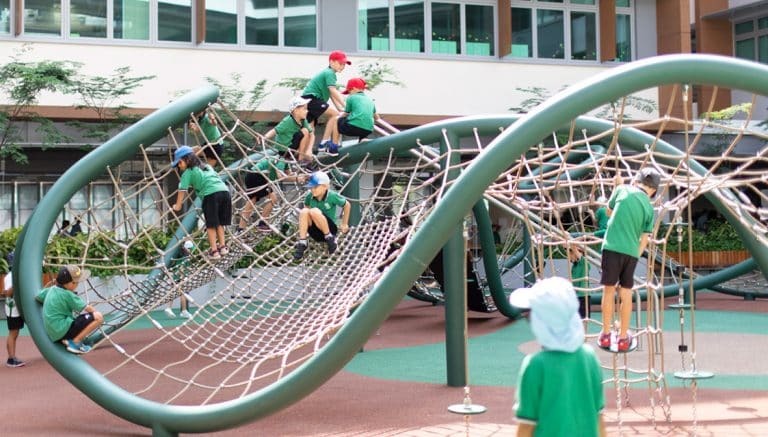 “As the individual elements of a low rope course have different levels of difficulty, they are attractive for children of differing ages”, says Patrick Lee, expert in designing playgrounds and schoolyards and managing director of CT-Art. 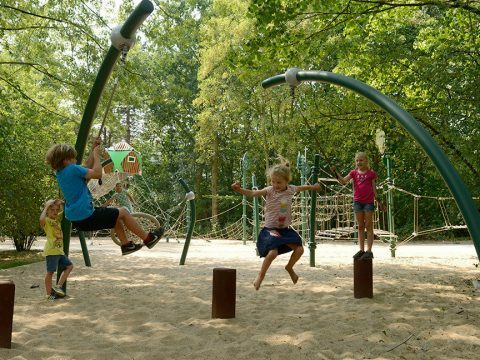 The completely open design of the rope play equipment ensures maximum transparency. 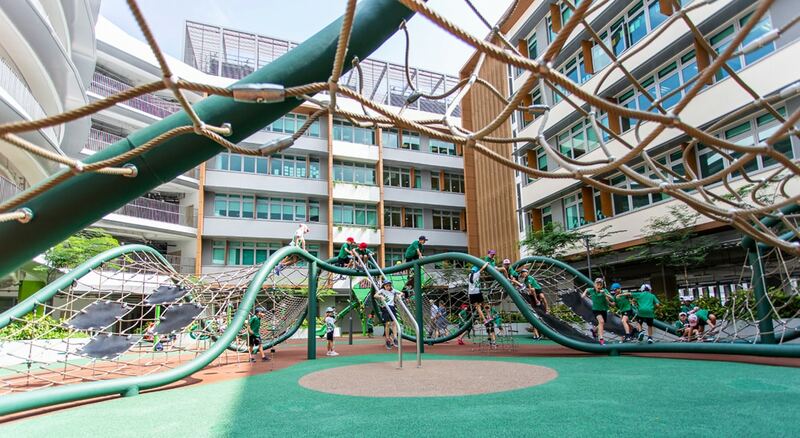 This means teachers can observe their students from every perspective, even when there are a lot of children on the climbing equipment at the same time. 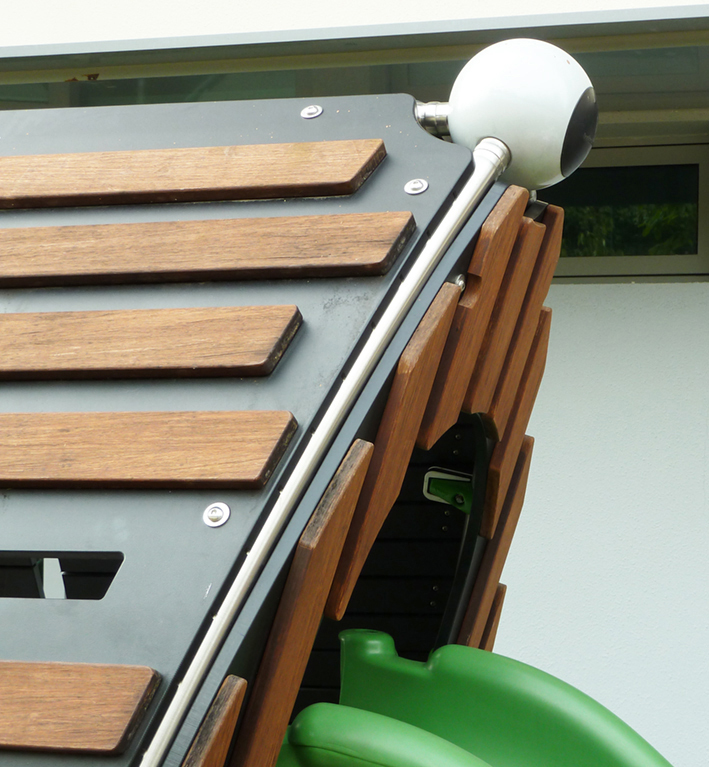 This design feature is particularly beneficial for school playgrounds and is also present in the wave-shaped play sculpture “Shout”, located in the third play area of the school. 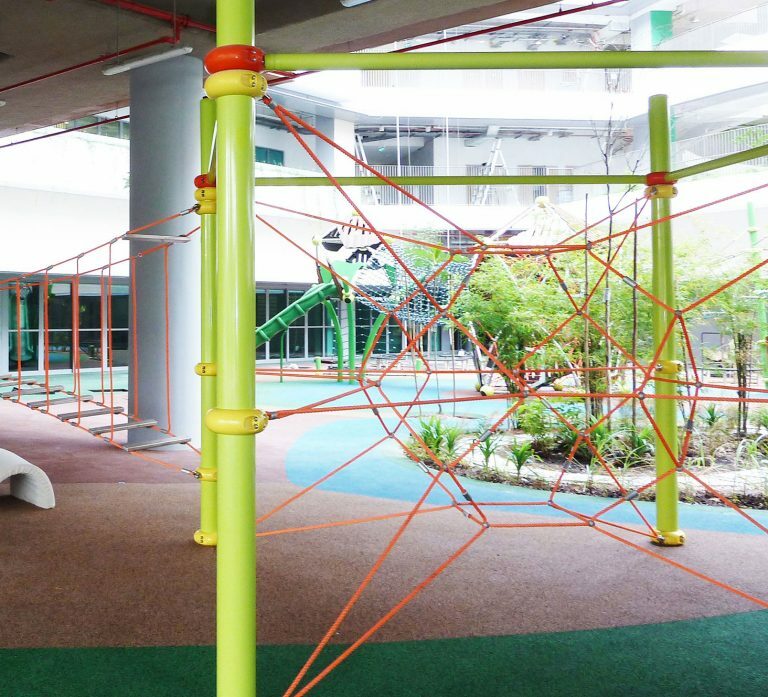 A planar net with different mesh widths spans a frame made of bent steel tubes. 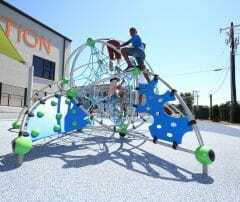 In addition to a net tunnel, which makes the climbing ring climbable all the way around, the play sculpture has numerous add-on elements such as climbing plates, a banister and rubber mats. 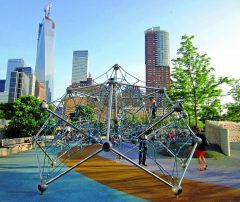 The second large play structure in this area is a combination of three “Greenville” Trii houses of differing heights, connected by net tunnels. Students can find space up there for privacy, or rest and relax after a challenging climbing tour in order to recover before classes resume. 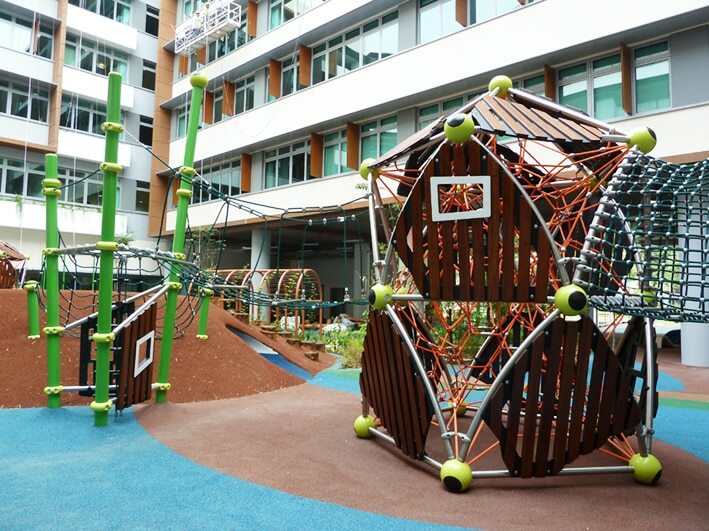 This play area is rounded off by two nest swings and a rotating play point. 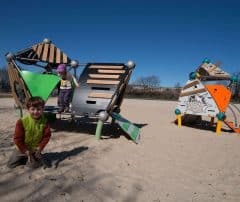 Both devices offer play functions that have a positive effect on children’s development. 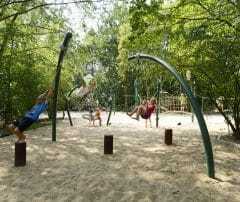 While swinging particularly promotes the vestibular system, i.e. 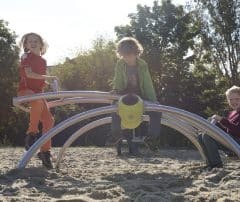 the ability to coordinate body movements, eye movements and balance, turning strengthens kinaesthetic awareness in that the child learns to avoid falling down or colliding with other playmates. 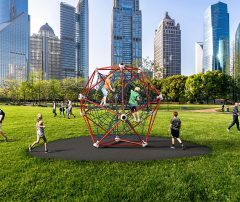 In addition to the high play and exercise value, the clear, organic and natural design language running through all the play areas is particularly striking. 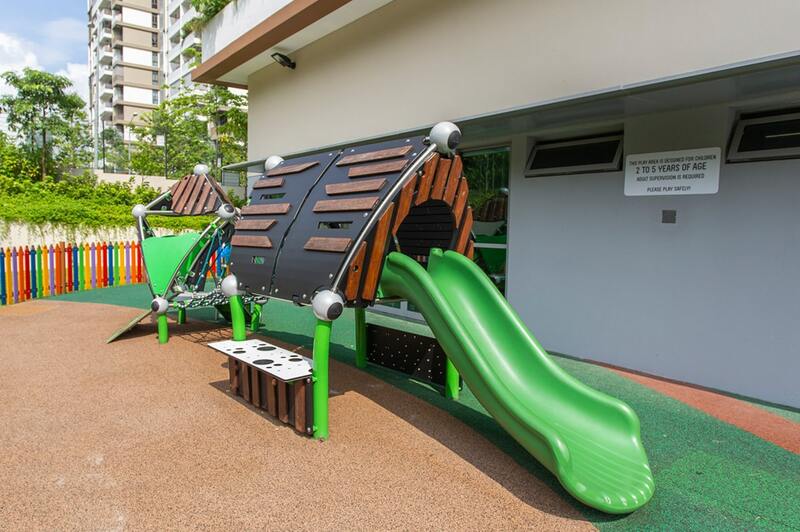 The natural color choice and the use of bamboo panels in the area of the facade elements reference the green surroundings of the “Bukit Timah Nature Reserve”, located directly in front of the GESS school gates. 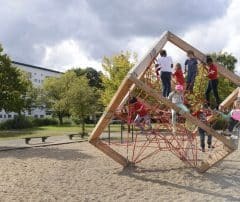 “The intention was to transfer this stimulating environment into the school playground through natural design”, says Marius Kotte from the Berliner Creative Centre. 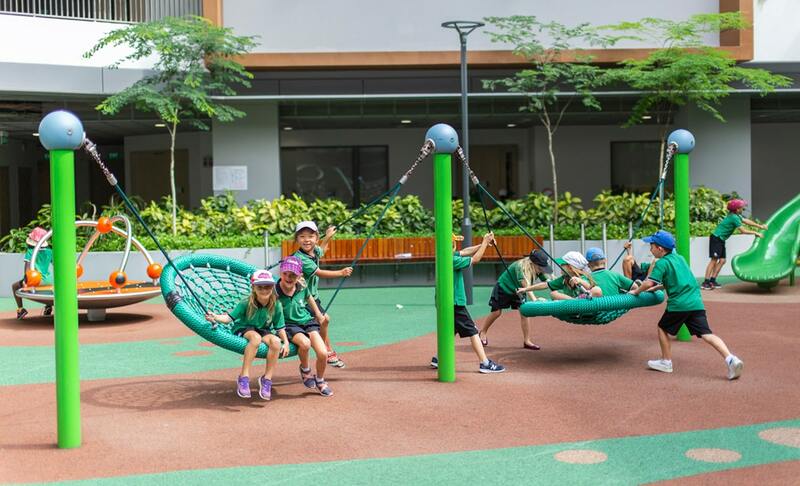 With the redesign of the outdoor area of the GESS, an impressive play and exercise area has been created that not only appeals to all age groups, but at the same time fosters the students’ neuronal, social and psychomotor development.